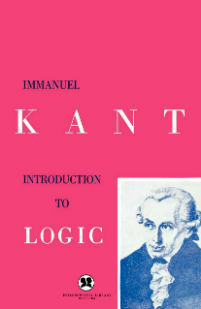 Written during the height of the Enlightenment, Kant’s Introduction to Logic is an essential primer for anyone interested in the study of Kantian views on logic, aesthetics, and moral reasoning. More accessible than his other books, Introduction to Logic lays the foundation for his writings with a clear discussion of each of his philosophical pursuits. For more advanced Kantian scholars, this book can bring to light some of the enduring issues in Kant’s repertoire, and for the beginner, it can open up the philosophical ideas of one of most influential thinkers on modern philosophy. This edition comprises two parts, including the first: Introduction to Logic, and the second: an essay titled The False Subtlety of the Four Syllogistic Figures, in which Kant analyzes Aristotelian logic.